The school festival opens at Ouran, the Host Club members are busy entertaining the visiting parents. Teasing his son is a favorite pastime of Tamaki's doting father, the school chairman, but Tamaki's grandmother is cut from a very different cloth. She despises and shuns Tamaki, banning him from the main Suoh Mansion. 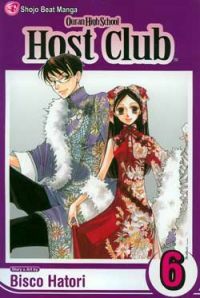 It's now time for Kyoya to take action with the Host Club to help their favored leader out.